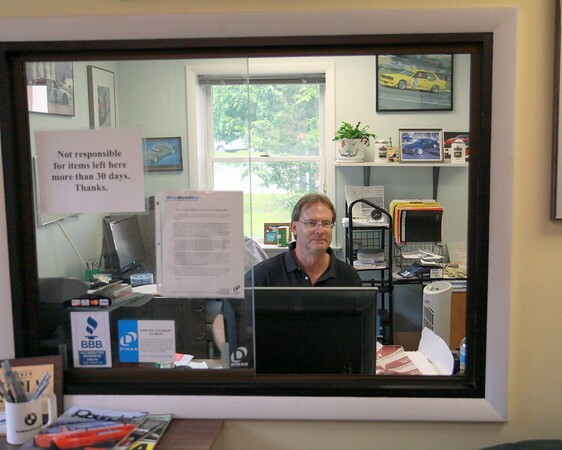 Dave, owner of Motor Works West is a factory trained BMW Master Technician. 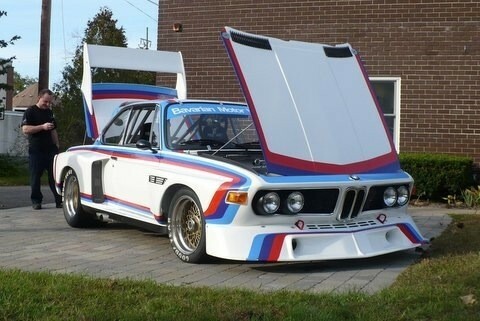 He has been certified in BMWs since 1977. 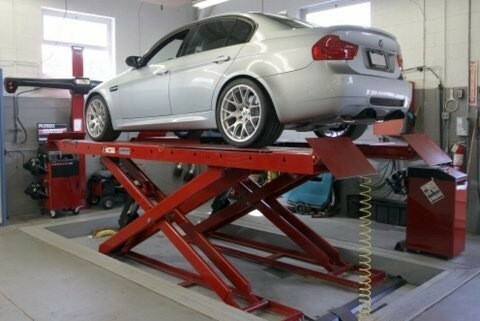 All of our other techs are also BMW Certified. 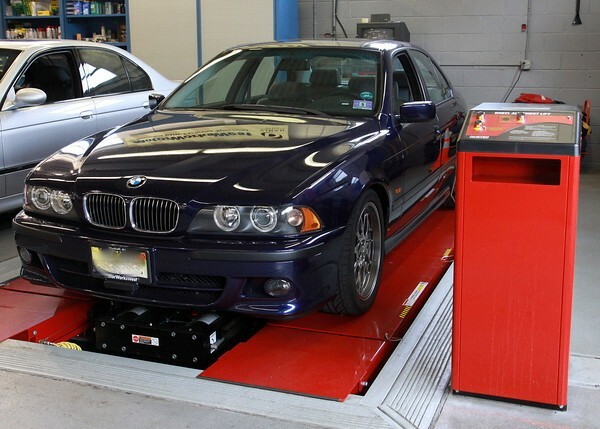 We constantly invest in the best of technology - the same tools and software found at at your local BMW dealer, including the GT-1 Diagnostic Computer ISTA Coding & Programming and the new Hunter RX scissor lift with the HawkEye Elite Premium Alignment System. We also do battery register for your new battery E65/E60. 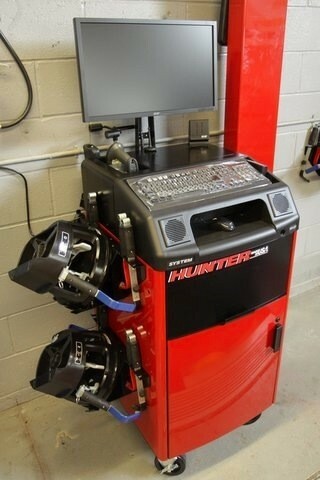 You'll never hear "we can't do that for your BMW." 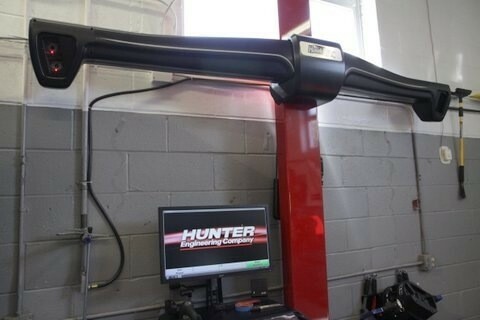 Our technology matches dealer capabilities. 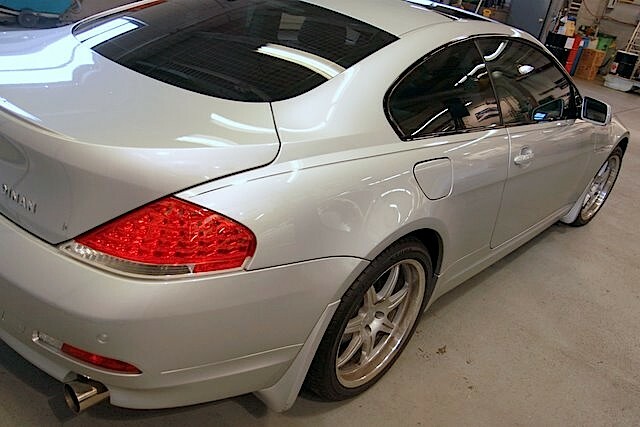 While we've worked on all model BMWs, we focus on those from the early/mid-2000's through today. We are currently seeking an experienced BMW technician to join our team. Please contact us for more information. 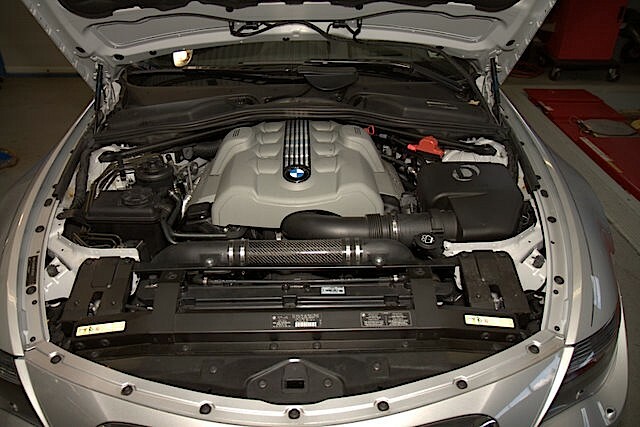 The Dinan Carbon Fiber High Flow Air Intake/Strut Tower Brace looks as good as it performs, allowing more outside air to be pushed into the engine via twin-ducts while also providing structural stiffness to the strut towers. Two new air inlets are added, each with its own high flow filter mounted into the mouth of the carbon fiber inlet. 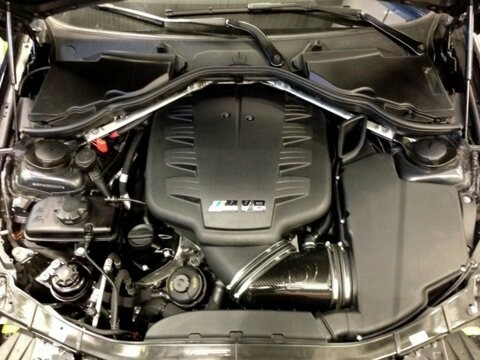 The stock air inlet is fully functional to provide four intakes into the engine for maximum airflow. The filtered air passes from the inlets into the black powder coated ducts then directly into the engine. 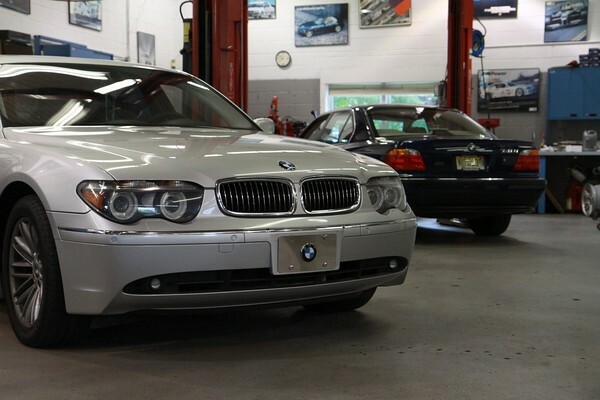 2011-2012 F10 BMW 550i 2011-2012 F10 BMW 550i xDrive? 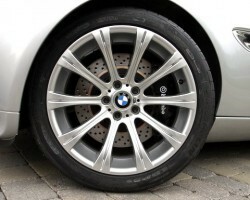 The new Dinan Ultra Light Forged wheel greatly reduces unsprung weight thus improving your BMWs grip, braking and ride quality. Each wheel is cut from a single solid monoblock forging of aluminum, and the "I beamed" spoke design yields an extremely stiff yet lightweight wheel. 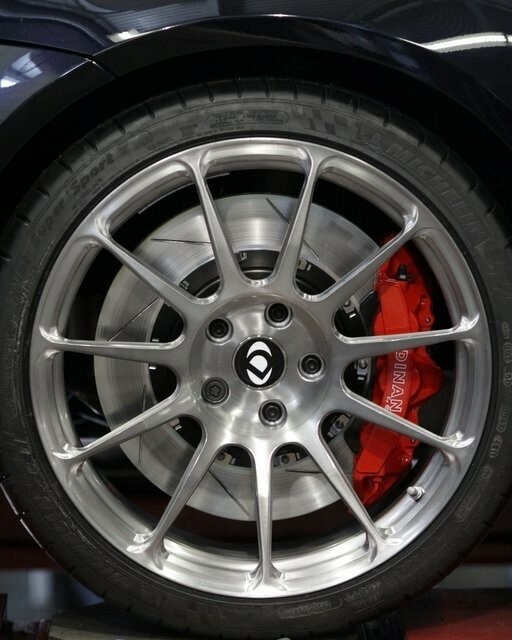 In fact these forged wheels are the lightest 20 inch diameter wheels on the market, and the open spoke design will help improve brake cooling as well. Extreme lightness, maximum stiffness and an aggressive thin spoke design, sets these wheels apart from the crowd every time. 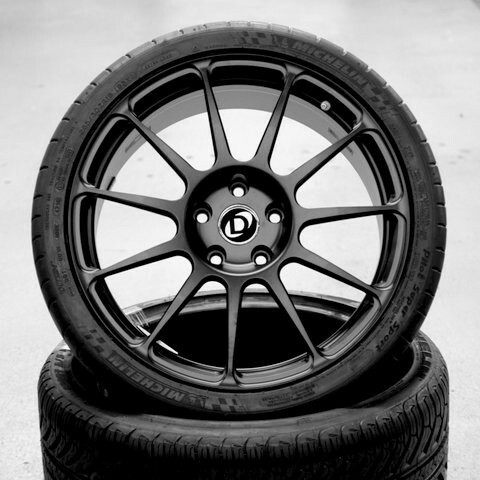 Built to Dinan specific offsets, and sized at 20" x 9.5" front and a 20" X 10.5" rear, these wheels accommodate substantially larger tires without any rubbing or modification of the wheel well. 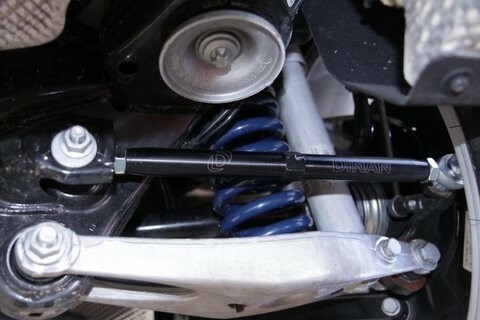 In addition, this custom sizing and offset allows for an increase in front tire size from the stock 265mm to 285mm. 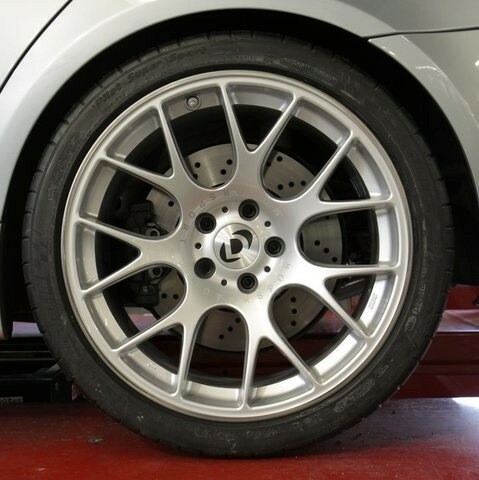 In the rear tires size can increase from a stock 285mm size to305mm. 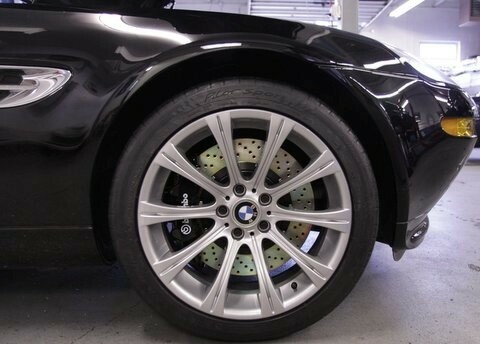 This is a dramatic increase in contact patch and corresponding grip level, which allows power to be put to the ground much more efficiently especially in modified M5/M6 applications. 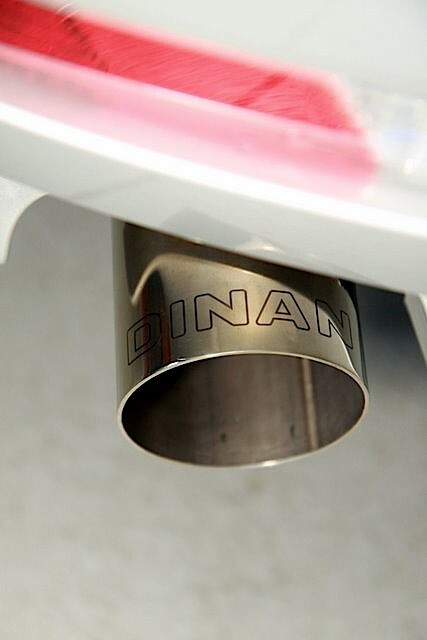 Dinan's new F10 M5 Free Flow exhaust system features 100% stainless steel construction measured to exact specifications to ensure proper fit via factory hangers and mounting points. 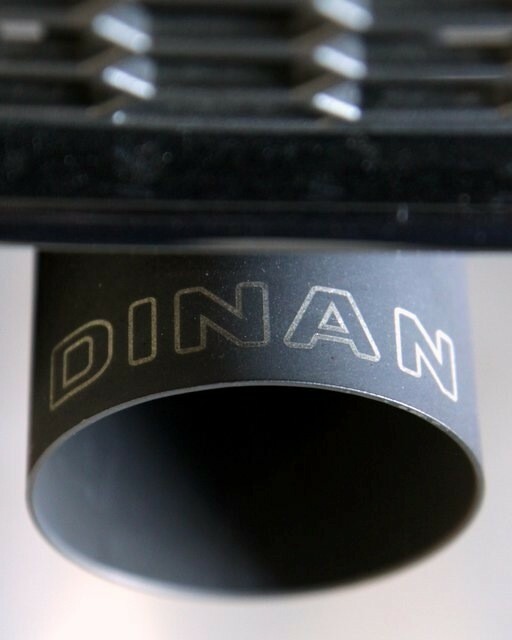 Dyno tuned for maximum exhaust flow with minimum backpressure, this system is designed to provide a more aggressive sound under acceleration, while reducing drone inside the vehicle, thanks to Dinan's exclusive Helmholtz Chamber and Butterfly Valve technologies. The exhaust gasses exit through larger laser engraved polished or optional ultra durable satin black ceramic coated quad tips. 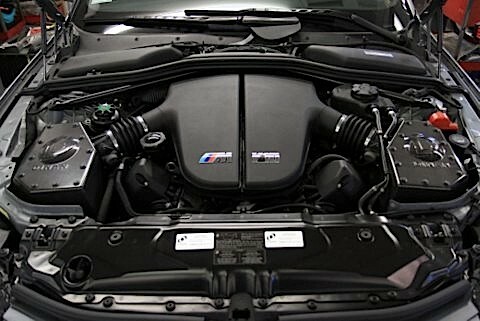 F10 550i now sounds as good as it looks. Great sound, looks and power. What more could you want. 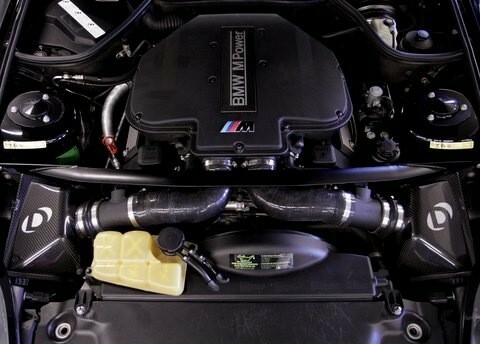 More power, great looks, more consistent performance and no downside by upgrading to the DINAN High Performance Intercoolers for the N63 twin-turbo V8. After many hours of further research, tuning and testing we have improved on our hugely popular Stage. 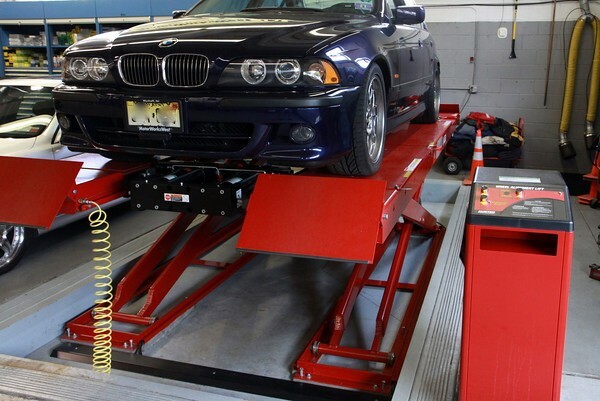 We are Northern New Jersey's only exclusive Dinan authorized performance center, providing sales, installation and support for the entire Dinan product line. 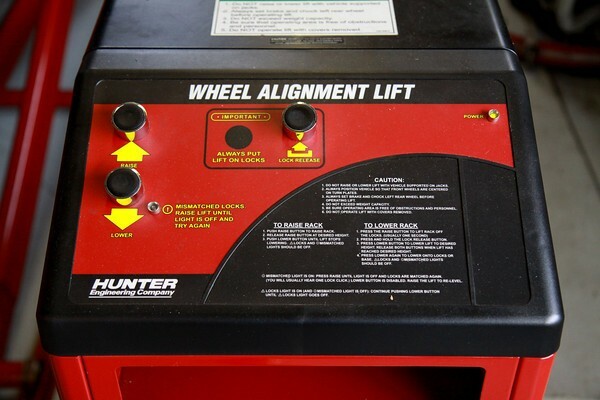 We have the new Hunter Scissor Lift to get your wheel alignment perfect. 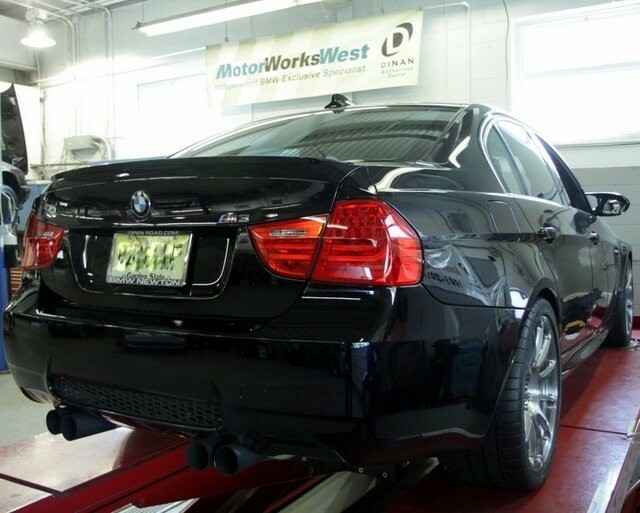 Motor Works West has a GT-1 BMW factory diagnostic computer to make sure we diagnose your car right, the first time. 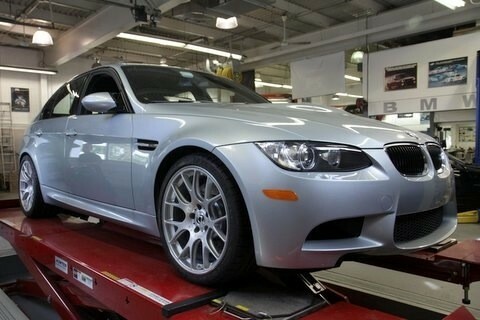 This E46 M3 project currently includes Dinan throttle bodies, performance cams, springs, and titanium lifters. 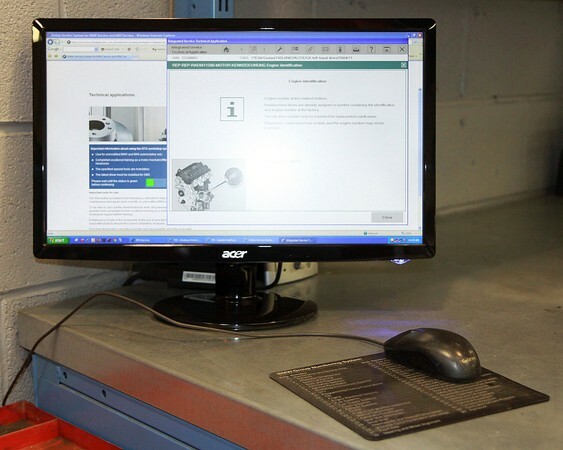 Our ISTA Coding & Programming system for newer vehicles allows us a direct connection to BMW in Germany to help with those really unique issues. 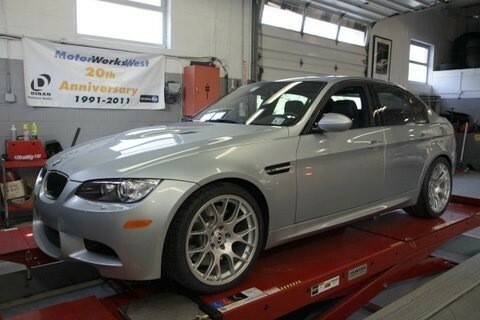 E90 M3 prepped for installation of Dinan stroker motor-fixed. 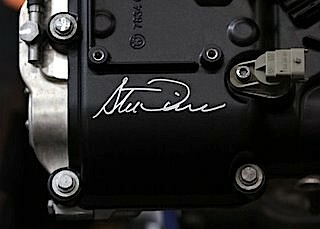 Dinan stroker motor, ready to be installed and complete with personally autographed valve covers by Steve Dinan. 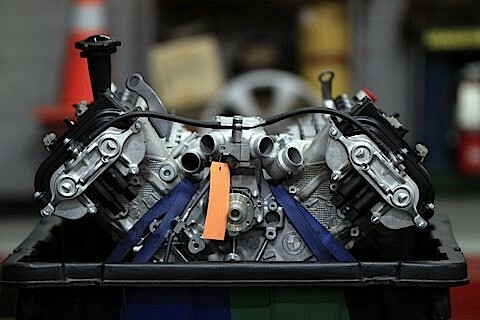 Dinan stroker motor installation nearing completion. Final view under the hood. 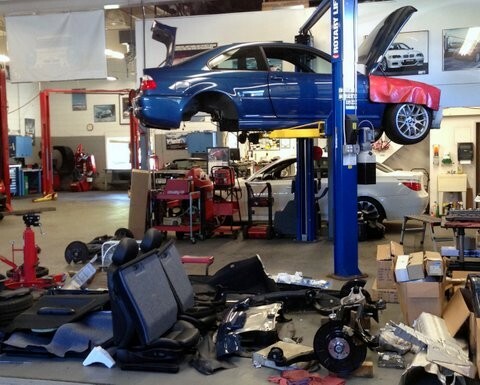 TRUSTWORTHY, SERVICE FOCUSED BMW REPAIR SHOP! I've been taking my car to Motor Works West for the last year after it came highly recommended by a friend at work. The experience there has continuously exceeded my expectations, and now that I am spoiled by them I can't image taking my car anywhere else. I highly recommend this shop for anyone looking for a knowledgeable "BMW guy" who won't rip them off and will treat them with respect and courtesy. First time customer and very impressed with the courtesy and professionalism of these folks. Substantially less expensive than the dealership. Steve promised me the service (brake fluid flush) would be less than an hour and he was true to his word. I will definitely use them again. Very nice people. Have been going to Dave for almost two years now, did my homework and while there were others I find his service to be stellar. I am picky and demanding about my cars but I find Dave's honesty to be spot on with my repairs. I live in Manhattan, it is not an easy commute to pick up the car but I rest easy knowing my two cars are in good hands. I would dismiss the complaints I have read here as sour grapes, look at how many people line up in the morning to get the car repaired and you know you are in good hands. Not a good customer experience. Very rude and unprofessional. (You can check other reviews on this site, on Google review and on ripoff website). It's not only myself, others have experienced similar rudeness from him, when i read) I have been long time customer with them (have all my bills with them from the first time, I have been to their shop). Last time, I turned the car in, my car's cup holder was perfectly working fine, except the outside flap fell off. Dave said, he will try to glue it. When I got my car back, the flap was not glued in and on top of it, the cup holder was not closing in (earlier it was closing perfectly fine). When asked the next day immediately, he said, he tried to fix it and spring came out. He also told I should come later and he will put it back. of all, there was no need to open the holder when they needed just to glue outside flap. After couple of weeks, when asked to put back the spring, he kept saying that, as I'm quoting his words - "I won't put it back, it's end of the conversation." And, hung up on the phone to me - to one of their long time customers. I have my all bills copy with me. When i have spent thousands of dollars in servicing with them over past few years, I wouldn't ever try to unethically fight just for $150 new cup holder! I wouldn't even bother if Dave told me that yes, they broke and can't be fixed. I understand, it can happen sometime. But, Dave's total denial that he didn't break it and , the way, I was being treated with his rudeness and that too, with the horrible service (broken car), I needed to spend time to write this review. Never recommend to anyone. Go to this shop at your risk. We were asked to look at broken cupholder. parts had detached from it. we reccomended new cupholder. owner declined. The best place ever! they fixed in 45 minutes what BMW dealer could not figure it out after 3 visits. 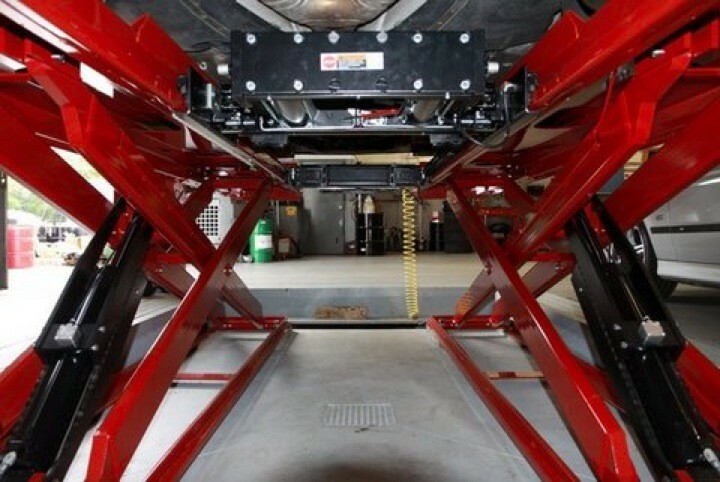 I was disappointed with dealers saying I needed work done that was not needed or necessary. Every service was $300 plus. I was told By a dealer I needed rear brakes 10000 miles ago...$800 not done/Dave says I have 25000 to go. I was told by a dealer my tie rod ends had split rubber..... $400 not done/Dave says no cracks. At a dealer I paid for 4 new run flats $1300.... They replaced only 3 but charged me for all 4. Wiper blades were replaced at a dealer with non OEM . Bought good ones from Dave. Dave and his crew are fantastic. 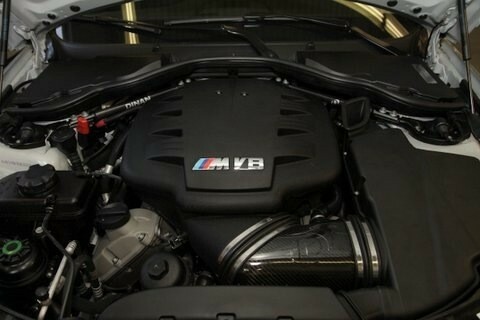 I almost gave up on owning a BMW before using motor works west. Awesome service! 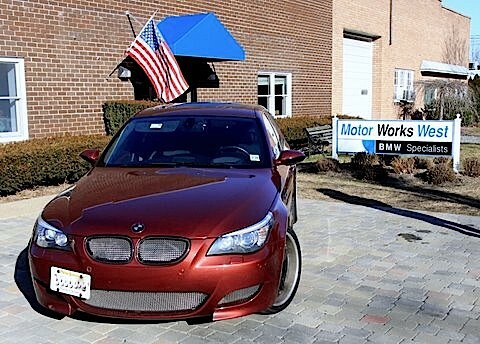 I had been going to BMW for repairs until a friend told me about Dave at Motor Works West. Not only were the repairs completed when promised but it cost half the price!!! Also, Dave took the time to explain to me what was going on with the car overall. I felt so comfortable going there and will DEFINITELY go back! I've only had the pleasure of working with Dave on two occasions. In 2007, Dave's team installed a Dinan CAI, Air Mass Meter Assembly, a Stage 3 software update and a pedal set on my 2001 M Roadster. Prior to dropping off the car, I clearly understood what to expect in terms of the parts and services being performed and the cost for those parts and services. I found Dave's team extremely knowledgeable, professional and trustworthy. I recently took my car back to MWW for a recurring problem with the fuel system. Over a 5 year period (yes, a 5 year period! 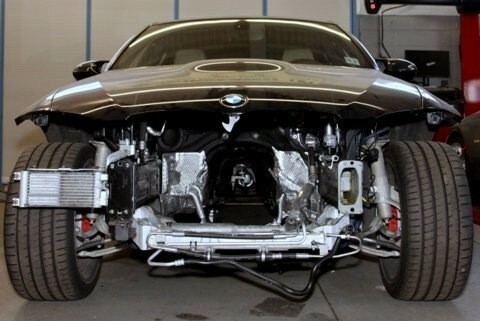 ), 3 different local BMW dealerships replaced 3 fuel pumps, fuel pump housings, fuel pressure regulators and other nuts, bolt and mounts that go along with. But yet the problem continued to return. After 10 visits to the various dealerships and countless dollars later, I called BMW directly this past summer and they agreed to send a Factory BMW Technician to the dealership in order diagnose the problem. This goof's official diagnosis: "It is the Dinan software putting to much pressure on the fuel pump, therefore causing the fuel pump to consistently fail". After I received that ridiculous information. 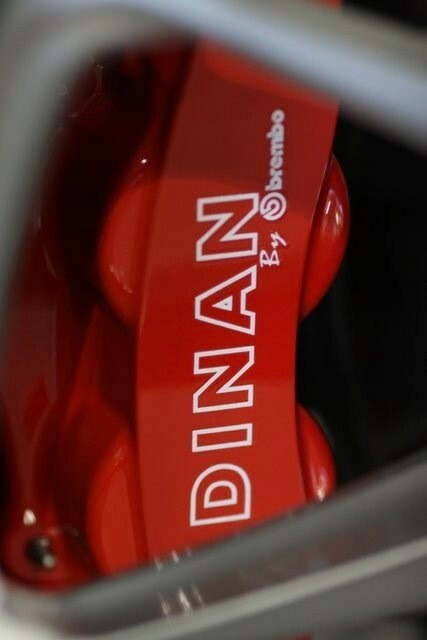 I called Dinan directly to run it by them. The confirmed the diagnose to be idiotic and recommended I take the car to Dave at MWW. Why they didn't I think of that 5 years ago??? I drove the car 2 hours to MWW and Sean had the car diagnosed, repaired and confirmed in less time than it took me to drive there. After all that time, money, energy and aggravation, the problem turned out to be a simple clogged fuel filter. Who would of thought, right? Total idiots. When Sean called me with the good news, one side of me was totally relieved and the other side of me wanted to call the 3 BMW dealership service managers' and go postal on them... and don't forget the call to BMW direct that thank their technician on his less than accurate diagnosis. 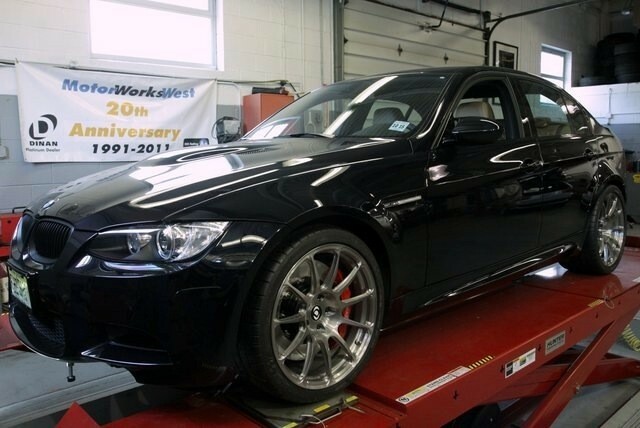 Real life, real people leason learned.... that's the difference between the expensive "part swap" drone mentality you'll find at the BMW dealership and the diagnostic expertise you find at MWW. In my opinion, there is no comparison. I've known Dave before he opened Motorworks West and have been going to him for major work for many years. His team is very professional in that there are no "comebacks." It's fixed. My cars are aging so that the repair gremlins are getting tougher to solve, but we work together to solve them. As some have said, it's not the cheapest, but far less than the dealers and you actually get high quality work the first time. I also value the "checkout" he does when he finds problems that should be attended to at some future date. Of all of them, he found that I had a failing Michelin MXV-4 tire and warned me IMMEDIATELY to replace. As I live in Manhattan, Wycoff is out of the way, but his drop-off at the Ridgewood train station makes it bearable. My cars are straight stock as my days as a boy racer are in the past and I appreciate Dave's dedication to keeping me on the road. One other things to keep in mind - his shop and his team are spotless. That takes work and shows that they are all meticulous. I've been taking my car to MWW since I first bought it about 10 years ago. They have taken great care of my car and Dave is very helpful in explaining what needs to be done and what my options are. It's notthe closest of least expensive choice I have, but it has been the best place I've any taken any of my 30 plus cars over the last 38 years of car ownership. I used to be a loyal customer but will no longer take my BMWs here. The owner was quite rude and refused to give me a quote. He pretty much incinuated I should bring my car in so they can charge me whatever they want before hanging up on me. I had a full 80K inspection on my 200X 323 done there. It seemed to be okay although I am unaware of the service actually performed except for receiving an itemized receipt. 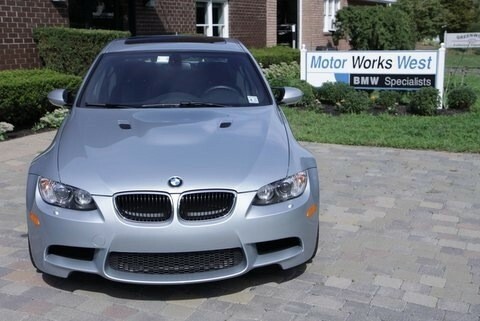 No cost savings over going to the BMW dealer as it was about the same price. I had my clutch for my 2004 Z3 replaced there. When the repair man test drove my car to see what the problem was there was snow in the front bumper. He must have taken my car for some crazy test drive. After the clutch was repaired it did not run as new and still had a slight slippage problem. Luckily I got rid of the car with its clutch issue. 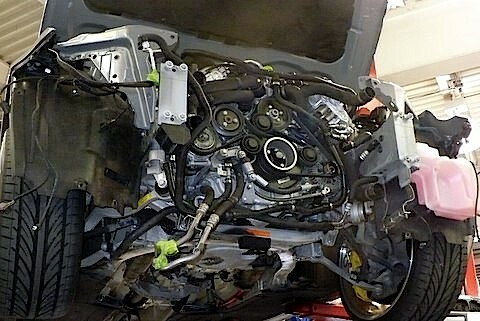 Recently I called to get a quote on a front passenger airbag harness for my 2008 335I. The tenafly dealer charged me $150 for the quote and then wanted to charge me another $500-$600 for an airbag wire harness. I called this shop and the owner was extermely rude to me. I had a BMW diagnostic code that I paid $150 and was trying to understand the pricing for a wire harness and repair. I live about 40 minutes from their shop and wanted to save my time and theres as well if the price was too high. Understood that there can be some additional things wrong with my car but I only wanted a pure price quote on the part and an estimate for an install. The owner was quite rude and refused to give me a quote. He pretty much incinuated I should bring my car in and they will charge me whatever they want before hanging up on me. I will never return to this shop again. Mr Lee: first, you claim to be a "loyal customer". We saw your 323 twice in 2006. The only other visit was when the clutch was replaced in your 04 Z4. Let me address your accusation of my being "rude". 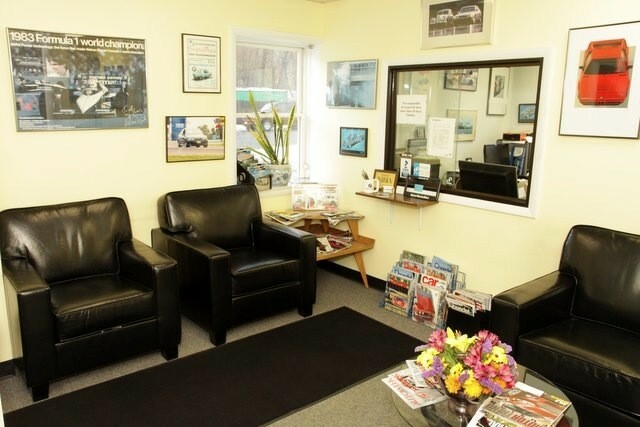 Vehicle owners-usually not steady clients- frequently phone here with a list of repairs & are shopping for prices. My usual response is that we are not comfortable with being left out of the diagnostic process & wish to be granted the opportunity to connect to ISTA & scan the vehicle ourselves. It is far more accurate, in fact it saves time & energy. For this there is usually no charge. Plus, if I give a price for that repair, order the part & install it & there is a problem, then what? You are in fact imposing conditions on us that are as unwise as they are poorly thought out. You are also reducing us to mere parts changers to be utilized when you are unhappy with a dealer estimate. It would be a much more positive experience to say "Dave, the SRS light is on, the dealer gave me a quote, can I get a second opinion?" Instead, you have concocted the fiction that we are trying to rob you. Your comment about the Z4 & snow I simply do not understand. You never contacted me that there was any problem with the repair but are quite willing to bash us on the internet. Again,if any repair has an issue, the first move should be to contact us. You have not done this. If this is not clear to you to are welcome to speak with me about it, I am willing to address any thing you have brought up here. I met with Dave on friday to check how my x5 4.6is , they are repairing my engine and radiator I was really happy to see that Sean will be done working on my car soon..............very nice shop .I will update next week on my repair..........I am a new customer. Outstanding professionals! That sums up Motor Works West. Dave is a true professional and his team are of the highest calibre. I had an e46 M3 that I wanted to make into a project car of very high quality. 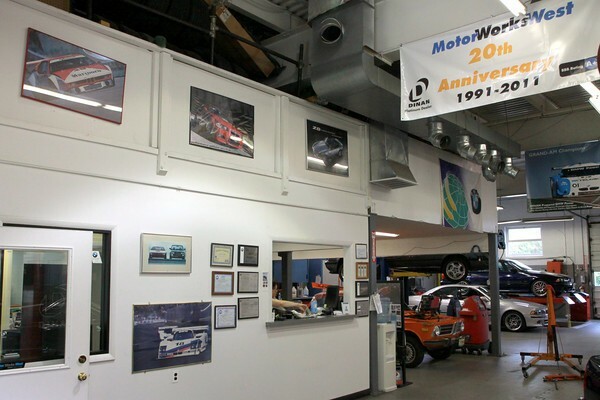 Motor Works West came recommended from Dinan as the top East Coast shop. I contacted Dave from overseas and through email, he helped me make some great choices for the project. Over a year, I had put together a literal warehouse of items going on the car. When I was able to, I loaded them all into a U-Haul and dropped the car and the pile of boxes off. Dave also had a stockpile of parts he had already ordered and kept in his shop until I arrived! Dave and his team put together a bullet-proof car that was phenomenal. Dinan-equipped throughout, with TC Kline suspension they tuned perfectly, a Brembo BBK, and lots of other items, the car was amazing! Dave addressed every question I had with time and energy. He was as excited about the project as I was and I found that very refreshing. There were more than a few times when he recommended better, and less expensive, ways to handle things. That is rare in any dealership I think. When I needed to stay longer than a working day, they made arrangements for a hotel and even took me there. When I needed a rental car, they arranged for that and took me to the rental agency. Now THAT is service! 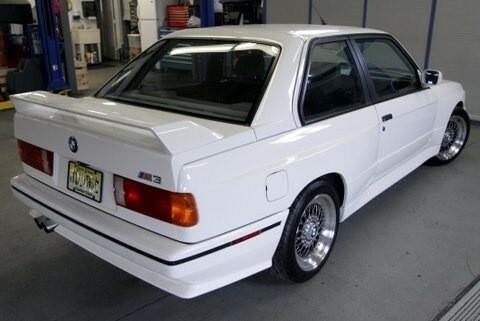 Another time I came in after the M3 had been in an extended period of storage. The car had been damaged electronically during the charging of the battery on the day I picked it up. Dave and his crew spent nearly a week tracking down the elusive electronic gremlin and they eventually did find it. That said, they charged me minimal labor as they were frustrated it took so long to find. The car was put right and is 110% perfect again. Overall, I will ALWAYS go to Motor Works West if I am anywhere on the East Coast. They are worth the trip for sure. I recommend them to anyone I can and will always be a #1 fan! Dave is the man! He has worked on my cars for over 20 years so he is almost like one of the family.. He knows his cars and is as honest and fair as they come. 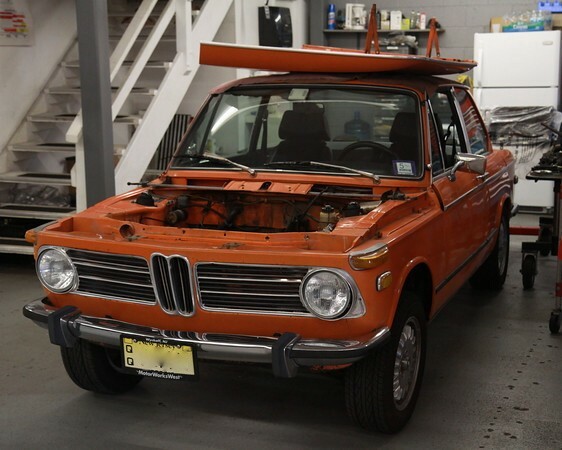 He is working on my 73 2002tii right now (pictured partially assembled). If you have an old or new BMW and are tired of the usual dealer ineptitude and dishonesty see Dave for a refreshing change. Have been going there for fifteen years. I have only received outstanding service over the years at reasonable prices. 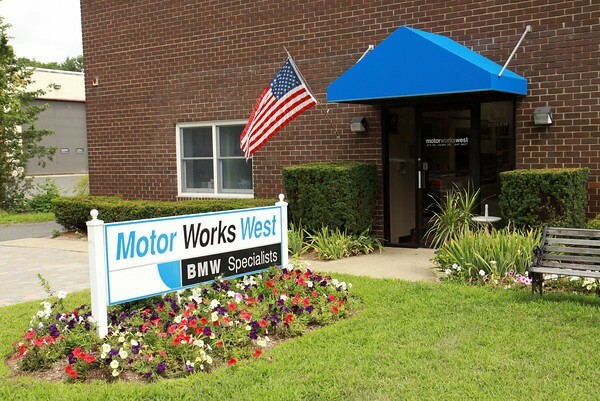 I can truly say the only reason I keep my BMWs off-warranty is because of Motor Works West. I recently sold my 20 year 735i. Before that, Dave at Motor Works West worked with me to provide cost-effective service for the car. When it was time to replace it, Dave gave me great advice on what car to look for as a replacement. I've been taking my car to motor works west for the last year after it came highly recommended by a friend at work. The experience there has continuously exceeded my expectations, and now that I am spoiled by them I can't image taking my car anywhere else. The most important thing for me is their honesty. 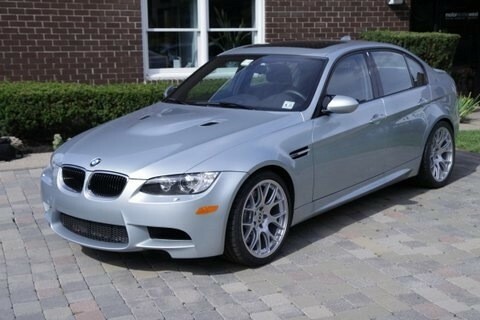 I know a little bit about cars, but not enough to avoid paying more than I should have on several occasions. Most recently with Motor Works West, I brought my car in with engine difficulties. The car wouldnt go any faster than 50, and I was prepared to pay a small fortune. They quickly diagnosed the problem as a coil under one of my spark plugs. The car had put itself into a reduced power mode. They had every opportunity to take me for a lot more money, but the bill was $200 and my car was ready the same day. I've been to a lot of dealers and repair shops in northern NJ and I can't tell you have refreshing and unexpected that was. They also turn my car around fast - almost always same day. I highly recommend this shop for anyone looking for a knowledgeable "BMW guy" who won't rip them off and will treat them with respect and courtesy. These guys are great. I purchased a used 530i, 2005. When it came off warranty, i decided to not purchase the "dealer" rip off package of maintenance and went with Motorworks West for ongoing maintenance. So far, they have re-programmed the computer because of an engine cut-off at a certain RPM. It was later determined that the same problem was still there, and he re-programmed the car at his expense - just to make sure that it worked correctly. That is what I call standing behind your product. I found the owner's overall honesty and explanations worth the trip to Wyckoff, NJ just to know that I'm in good hands, and that he's not performing frivolous so-called preventative maintenance. I recommend them highly for being straight shooters - something that not too many people engage in as well as good mechanics.